GDCB integrates experimental and computational research approaches with instructional and pedagogical innovation in three primary focus areas. The GDCB Department is dedicated to biological discovery and excellence in undergraduate and graduate education, with research and teaching missions encompassing fundamental cellular and subcellular processes, including genome dynamics, cell structure and function, cellular metabolism, cellular response to environmental and developmental signals, and molecular mechanisms of development. The Department has identified three primary focus areas in which it already enjoys a strong representation – Genome Dynamics, Cellular Biology and Development. The other research areas of computational biology and metabolic networking, as well as instructional and pedagogical innovation, are integrated into multiple focus areas. GDCB has notable expertise in both experimental and computational approaches. The field of genome dynamics includes vital processes required for the maintenance, inheritance and expression of the genetic material; including transcriptional and post-transcriptional regulation of gene expression, segregation and recombination of genetic material, transposition, and mechanisms of genome evolution. ISU and the GDCB department have expertise in a number of these areas, most notably in the experimental analysis of gene expression, transposition, and recombination and the analysis of genome structural data using bioinformatics and computational biology approaches. 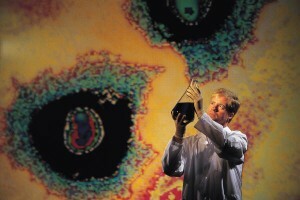 These computational tools are enabling rapid advances in a number of important areas, including gene discovery and function prediction, analysis and prediction of regulatory signals in DNA, comparative genomics and molecular phylogeny, and global analyses of gene expression patterns and protein-protein interactions involved in cellular and developmental processes. Ultimately, this research provides the basis for successful modeling of genetic, metabolic and signal transduction networks. The cell is the basic unit of life, and excellence in biology learning and discovery requires a fundamental understanding of cellular structure and function. This area encompasses the assembly and function of subcellular organelles, and the channeling and compartmentalization of proteins and pathways. This research also provides the foundation for understanding the regulation of metabolic networks, and responses to environmental signals and pathogens, areas in which molecular biologists and cell biologists in GDCB have developed nationally recognized programs. During multi-cellular development, individual cells must integrate intracellular and extracellular signals and implement appropriate decisions, such as whether to grow, divide, migrate, differentiate, or die. The molecular mechanisms that control developmental cell fate decisions are also the keys to solving many biomedical and agricultural concerns. GDCB is building upon strengths in genome dynamics, functional genomics, and computational biology to achieve a nationally recognized program of research that investigates the regulatory circuitry of development. Research topics in this area include specification of cell fates and cellular differentiation, cell-cell interactions and signal transduction, pattern formation, organogenesis, neurobiology, and programmed cell death. This includes development and implementation of novel and innovative methods and mechanisms to aid in student learning. Faculty in GDCB are especially active in the integration of web-based technology into both traditional face-to-face and on-line courses. The GDCB Department also is interested in the efficient and effective conveyance of biological knowledge to students at ISU and elsewhere. Because of this faculty within the department are active in designing, testing and implementing innovative methods and mechanisms to aid in student learning. These efforts are particularly active in the undergraduate biology curriculum, where novel methods are introduced and tested fairly regularly. Of particular note are the efforts of GDCB faculty in the design, testing and integration of web-based technology into courses, in both on-line and traditional classroom settings. These efforts are clearly demonstrated by the success of Project BIO and the Center for On-Line Learning, both of which arose and were nurtured primarily by GDCB faculty. This includes regulation of metabolic networks, metabolic regulation of gene expression and integration of metabolism into systems biology.